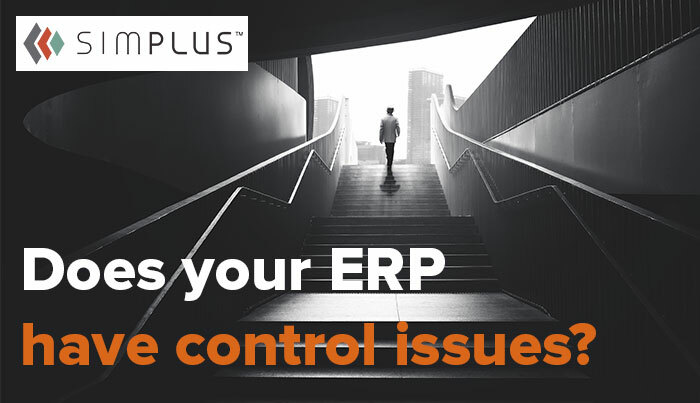 11 Oct Does your ERP have control issues? Letting go can be hard. That pinball machine in the garage you swore would bring all the guys around. Those kettlebells you found at 20% off under the bed for those three workouts you did before denting the floorboards. And, best of all, that product configuration and pricing logic and data that your ERP hoards like Gollum, even though it doesn’t need to. Like humans, ERP logic and data hoarding usually starts with good intentions (or from a sense of necessity), but over time things become more cluttered, and our ability to look around the room for better options becomes obscured and myopic. As the backbone of business operations, ERPs have been tasked with performing complex product configuration logic, pricing calculations for quoting, order processing, and contract management for decades, all while supporting extensions of these functions into partner portals and public platforms. And while a well-designed ERP implementation may perform these perfectly well, rarely does it also provide an easily scalable, welcoming, simple, and intuitive experience for end users, particularly sales teams who depend on the ERP during their daily operations. Quote-to-Cash (CPQ) solutions, on the other hand, were designed to do just that. By taking the real-world complexities of your sales and order processes and translating them into an easy-to-maintain product and pricing rules and logic, coupled with an interactive front-end experience, CPQ delivers processes that your users actually understand and want to use every day. Enterprise-level solutions such as Oracle and Salesforce CPQ are also able to replicate (although we would always challenge the value of) existing complex logic, rules, and customer/contract/product-specific pricing algorithms inside their own configuration engines. Quote-to-Cash implementations often find themselves at odds with ERPs regarding product and pricing logic, in that either A) the ERP needs to hold onto and control all pricing calculations from the point of initial quote request through to order entry, contracted pricing management, and renewals, and reconcile all these transactions, or B) CPQ is deemed to be the more logical, more simple, and more obvious place to perform all product configuration and pricing calculations since it has modern engine capabilities and delivers the best experience to perform the same functions at the most opportune point in time—the sales cycle. When properly implemented, CPQ protects the sales person, their company, and the customer. It makes sure profit margins are protected and discounts applied accurately, when and where appropriate. It only allows quotes to be generated where products and solutions are feasible, meet the client’s stated needs, and can be delivered successfully. It manages multiple parameters for every deal and applies visibility and security controls so that management, team members, partners, and the sales reps themselves know precisely how every deal is progressing toward a desirable outcome (or not!). Once the deal is closed, CPQ logic extends into the ordering and customer growth and renewal strategy and processes, with the same obsessive amount of supervision, control, and transparency. With all these checks and balances in place thanks to CPQ, it seems a bit irrational to design all the logic and calculations that protect our business’ revenue streams outside of the solution designed to do just that. It also becomes illogical to force a reconciliation of post-sale financial transactions (such as order entry, or customer-based contracted pricing updates) inside ERP, due to it having to run its own checks against what your CPQ already figured out. In most cases, it’s too late anyway, and any discrepancies should be resolved at the product and pricing configuration level inside CPQ or ERP to identify and remedy its root cause, not by merely issuing another invoice or credit note to a frustrated customer by an embarrassed sales rep.
That’s not to say all data should or even can live in CPQ. ERPs still do the best job of inventory and supply chain/cost management, and as such are great masters of “boilerplate” product data; “what it is, what it cost, where it is” and so on. This seed data should be shared to your CPQ tables and then essentially “forgotten about” until they go through the controlled parameters of a sales motion, which the ERP really shouldn’t have to care about—it knows that the sale, and the business, is being protected by the CPQ product configuration and pricing engine logic, alongside management approval processes and transparent collaboration. Similarly, once the sale is closed, and CPQ sends order data back to your ERP, it can use that same confidence to simply absorb the outcomes of the concluded deal (pricing, delivery dates, contract terms, and so on) and easily transform them into simple financial transactions and revenue management activities—functions where ERP remains your best bet. The hardest part to digest in this scenario, or even comprehend for some, is “letting go” of what is often seen as complex, critical, back-office data and processes, and releasing these to (among others) the Sales Operations team in a front-end fashion. They are no less important, but the need to protect and hang onto them doesn’t make sense anymore; handing them over to systems and end users that need it most and can apply it most efficiently, while still being bound by the rules prescribed by the product, pricing, finance and order management teams, is a refreshing experience for everyone. If you’re taking on CPQ and concerned with how your ERP is going to integrate or challenge its configuration and pricing logic, especially if these have become overly complex, voluminous and difficult to scale, the time may be right to sit on the couch, close your eyes, and consider underlying data and logic control issues that may exist within your ERP. Organize the closets, clean out the basement, and give away stuff that you don’t need anymore. Sometimes letting go of what you have is how you get what you really need. 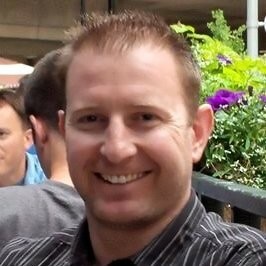 Kevin is a Principal Consultant with Advisory Services here at Simplus. With 20 years’ experience in business solution consulting and delivery, Kevin has formed, led, and been part of dozens of project teams as an analyst, project and services manager, solution engineer, technical strategist, and change management advisor. With this track record, and having worked on both sides of the consultancy and advisory services table, Kevin creates and encourages open discussion around the impact and considerations of technology, people, and process transformations to take businesses from bold ideas to actionable implementation strategies and roadmaps.